The impending war in Europe was of major concern to Ireland and most politicians were worried that a war in Europe would re-open the wounds of our own Civil War of 1922-23. Two Irish contingents fought in the 1937 Spanish Civil War – but on opposing sides. On 1 September 1939, in response to the German invasion of Poland, a hastily convened Dáil declared an immediate state of emergency. The Emergency Powers Act that the day’s debate culminated in came into effect one day later, on 3 September. It was modeled extensively on the British draft worked out during the Sudeten crisis a year before and allowed ’emergency powers’ to be enacted by the government should any internal or external threat arise. In the six months prior to the onset of war there had been an escalation of IRA violence and a bombing campaign in Britain under the new leadership of Seán Russell. De Valera, who had tolerated the IRA as recently as 1936, responded with the Offences against the State Act, 1939. There were fears that the United Kingdom, eager to secure Irish ports for their air and naval forces, might use the attacks as a pretext for an invasion of Ireland and a forcible seizure of the assets in question. Russell, in May 1940, travelled to Berlin in an effort to get arms and support for the IRA. He received training in German ordnance but died on a submarine while returning to Ireland as part of Operation Dove. 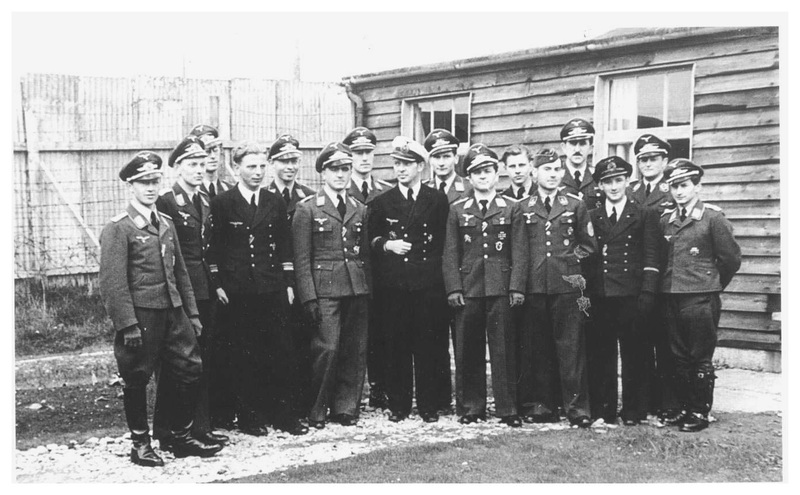 A small number of inadequately-prepared German agents were sent to Ireland, but those that did arrive were quickly picked up by the Directorate of Military Intelligence (G2). Active republicans were interned at the Curragh or given prison sentences; six men were hanged under newly legislated acts of treason and three more died on hunger strike. The Germans had overestimated the abilities of the IRA. By 1943, the IRA had all but ceased to exist. Inevitably, some of the aviators were shot down, crash-damaged or ran out of fuel over neutral Ireland and the survivors were interned at The Curragh Camp in Co Kildare. The “K-Lines” (No.2 Internment Camp) was built in 1939 in the East side of the Curragh Camp. The area that the internees were held in was also known as “Tintown”, due to the amount of tin used in the construction of the buildings. An interesting diplomatic anomaly occurred here whereby all US military personnel were automatically repatriated due to an agreement between the Irish and US governments, except for one US citizen, whose nationality had been stripped by the US Government for fighting with the British (in No. 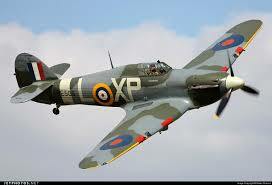 133 Squadron RAF) prior to the US entry to the war, was also interned. His name was Roland “Bud” Wolfe, an American pilot flying a British RAF Spitfire, paid for by a wealthy Canadian industrialist, had experienced engine failure on 30th November 1941 while flying over Moneydarragh Co. Donegal. Wolfe, famously broke his parole, and escaped into Northern Ireland but, to his astonishment, he was sent back to the camp by the British authorities – the principle of neutrality was too important to risk. 133 Squadron RAF was one of the famous Eagle squadrons formed from American volunteers serving with the RAF during World War II. Originally formed during the First World War, it was re-formed at RAF Coltishall in July 1941 as the third of the Eagle squadrons, equipped with Hawker Hurricane IIB fighters. It transferred to RAF Duxford in August, and by October was at RAF Eglinton, County Londonderry in Northern Ireland, where it was equipped with Supermarine Spitfire IIA’s. It then transferred back to the south-east England including time at RAF Biggin Hill. Wolfe was considered to be one of the luckiest pilots ever, for he went on to fly combat missions in both Korea and Vietnam and survived to tell the tale. Roland “Bud” Wolfe’s Spitfire was recovered on the 28th June 2011 by aviation historian Johnny McNee, along with others. The recovery was filmed, and will be made into a documentary for the BBC. The allied pilots would land, mistaking Ireland for Britain or Northern Ireland. This was quite common considering that aircraft navigation systems then were very basic compared to modern standards. Aircraft would either be damaged during battle or run low on fuel, forcing the pilots to crash or emergency land. Luftwaffe pilots, however, would deliberately land in Ireland in preference internment in Britain. On 29th September 1940, Flying Officer Paul Mayhew became the first British pilot to be interned at The Curragh Camp when he crash-landed his Hurricane fighter at Kilmuckridge, Co Wexford. Mayhew was initially held under armed guard in Ceannt Barracks, Curragh Camp, while a new barbed-wire compound was built as an extension to K-Lines. On 17th October 1940 Mayhew was transferred to K-Lines and was to remain the lone British internee for almost two months. Mayhew’s aircraft was actually the seventh British warplane to land in Ireland, but no effort was made to detain any of the crew of the others — even after the pilot of one plane went into the Garda station in Skerries to make a phone call after he set-down just off Dublin coast. Following the internment of the Germans, however, Irish authorities felt Mayhew had to be held. When a warplane was forced to land in Ireland, the crew would usually destroy all documents, maps and as much of the aircraft as possible, before they were captured. These aircraft crashed or force-landed on Irish territory, or in its coastal waters, between 1939 and 1945 due to adverse weather conditions, navigational error, low fuel or combat damage. Allied pilots, upon realizing where they had landed ‘south of the border’ would usually attempt to travel to Northern Ireland, although not usually with much success. Escape for German pilots was much more problematic, since France was the nearest ‘axis occupied’ country to Ireland and travelling there, especially via England, was almost impossible. The German aviators that did not survive their emergency landings were buried in a small cemetery (Deutscher Soldatenfriedhof) at Glencree, near Enniskerry, Co Wicklow. There are 134 graves – most are Luftwaffe (air force) or Kriegsmarine (navy) personnel. 53 are identified, 28 are unknown. Amongst these remains are 6 World War I prisoners of war held by the British. Another 46 were German civilian detainees, who were being shipped from Britain to Canada for internment when their ship, SS Arandora Star was torpedoed by a German U-boat, U-47, off Tory Island, County Donegal, on July 1940. Initially, the internment camp at The Curragh was for political prisoners and relations between these internees and the Irish Army were extremely strained; six IRA men were hanged under newly legislated acts of treason and three more died on hunger strike. This ‘antagonistic’ atmosphere was transferred to the newly built “No. 2” Camp and, for the first few weeks, security here was tight and the internees privileges were very limited. Although the guards were armed with rifles, they were ordered not to fire at German or Allied internees who attempted escape and, as a precaution, their guns were loaded with black cartridges. 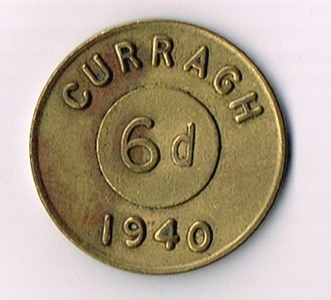 Even if an internee did escape from the compound, the Curragh Camp was somewhat remote and surrounding ‘garrison towns’ of Naas, Newbridge and Kildare were populated with off-duty soldiers who ensured the escapee(s) were unlikely to get very far. In September of 1940, the German minister to Ireland, Edouard Hempel, visited K-Lines where he found the German internees to be uncomfortable with the conditions of their imprisonment. In October 1940, the Irish Department of External Affairs agreed to grant certain liberties and privileges to the German internees. The German officers were paid weekly wages and an allowance to purchase civilian clothing – these payments were billed to the German government. The internees were allowed to attend religious services. They were given garden tools to cultivate their own vegetables. Internees could avail of a postal system, which was strictly censored. Most remarkably, there was also a limited parole system introduced for all ranks allowing them to leave the compound, on their word of honor that they would return by the times laid down. This parole applied equally to RAF and Luftwaffe alike but it did not extend to the ‘civilian’ IRA internees in Camp No. 1. on the opposite side of the Curragh Camp. Parole was initially for a period of three hours each afternoon but gradually extended to two nights a week to attend the three cinemas in the Curragh. This soon expanded to cinemas in the neighboring towns of Kilcullen, Newbridge and Kildare. While going to these towns the internees had to wear civilian clothing and they were forbidden to enter pubs or hotels, talk to the locals or visit their homes. The Irish soldiers would also follow the internee’s movements mainly for their own protection. And there would have also been a threat to the Germans from pro-British locals. Conditions continued to improve in K-lines and in January 1941, it was authorised for parole to be extended to three hours a day for exercise and four hours each evening for recreation. The parole area consisted of the Curragh, and the three neighboring towns of Kildare, Newbridge and Killcullen. The British senior officers were allowed to telephone their diplomatic representative at any time. The ban on frequenting hotels in the local towns was lifted. Internees who were married were given extended parole from 1030 hrs to 2230 hrs to spend with their wives who travelled over to visit them. German internees took English lessons from local teachers every afternoon. 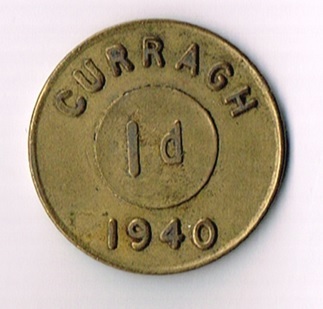 The Curragh was, and still is, a training camp for the Irish Army, and the POW’s from both sides had access to the Army gymnasium and swimming pool. Several of the POW’s were good swimmers and some were even granted permission entry to the Irish National Swimming C’ships. Oberleutnant Kurt Mollenhauer incessantly fought with the Irish authorities for further concessions for his men. In May 1941, it was decided to extend parole to the neighboring town of Naas and internees were permitted to engage in horse riding. The restriction on visiting private homes was lifted and internees were permitted to attend local dances and functions. 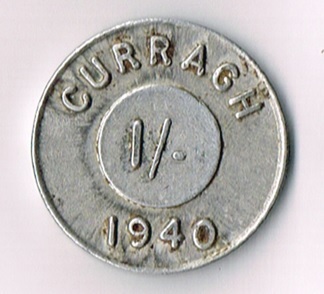 Tickets were obtained for the German and British officers to attend the Irish Derby at the Curragh racecourse in June 1941. 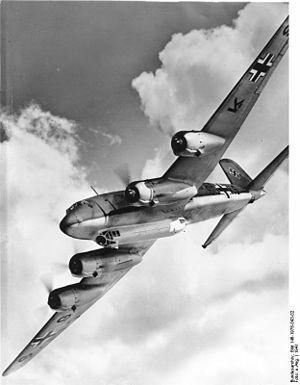 The Germans made only one known escape bid which took place in February 1942. Nine of them managed to confuse the guards into letting them out when only eight of them had signed their parole form. The ‘odd man out’ then made his way to Dublin and succeeded in boarding a ship bound for Portugal. This German pilot did not, unfortunately, enjoy “the rub of the green” because the ship made an unscheduled stop in Wales, where he was arrested and imprisoned in a POW camp with a much stricter regime – no more walks down to the local pub for Otto ! When all but one of the 33 Allied internees tried a mass break-out in February 1942, Irish troops around the camp fired blank ammunition and used only wooden batons to forced the men back into the prison. In October 1943 the Allied internees were moved to separate camp in Gormanston, Co Meath, and most were secretly freed. In a gesture towards the Germans, Mollenhauer and 19 of his colleagues were allowed to move to Dublin and enroll at University College, Dublin, or the College of Technology in Bolton Street. They stayed in groups of three or four in rented houses. 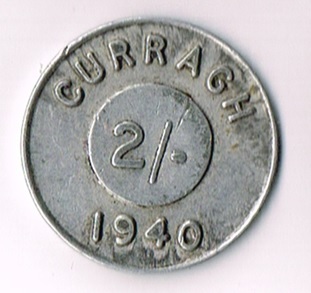 These tokens were used by the internees to purchases goods within the camp. They were not exchangeable outside the camp which helped reduce a ‘black market’ for goods between the locals and the interns. Since the German officers were paid £3 per week and the other ranks £2 per week, this must have been paid to them in legal tender (Irish currency notes) since they were going to local pubs, cinemas and other ‘entertainments’ while out on parole. ← O’Brien Rare Coin Review: Did a Gaelic king ‘mint coins in 11th C Ireland ?